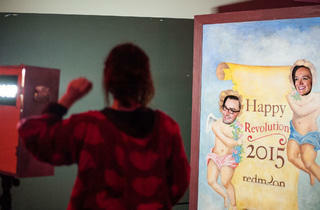 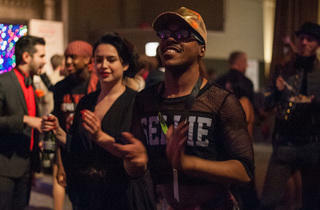 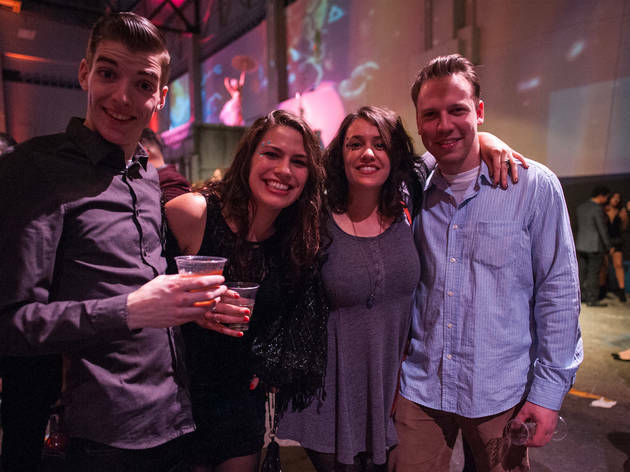 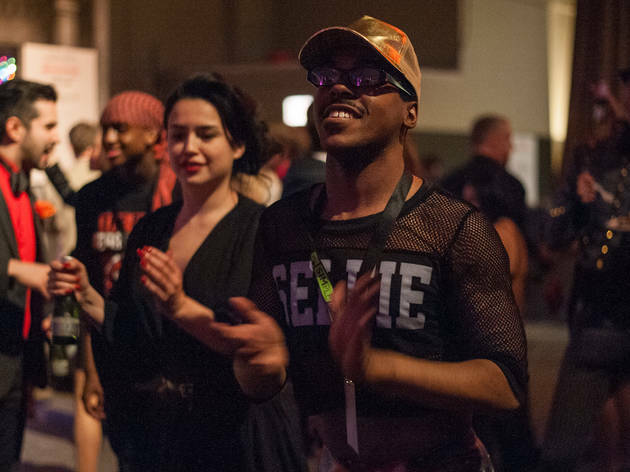 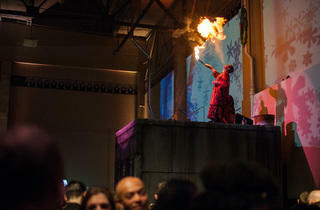 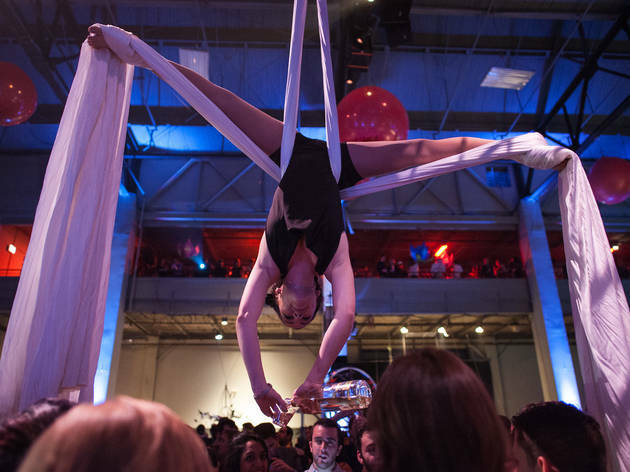 Photograph: Max HermanAttendees mingled with fire breathers, trapeze artists and more at Redmoon's New Year's Eve Revolution party in Pilsen, December 31, 2014. 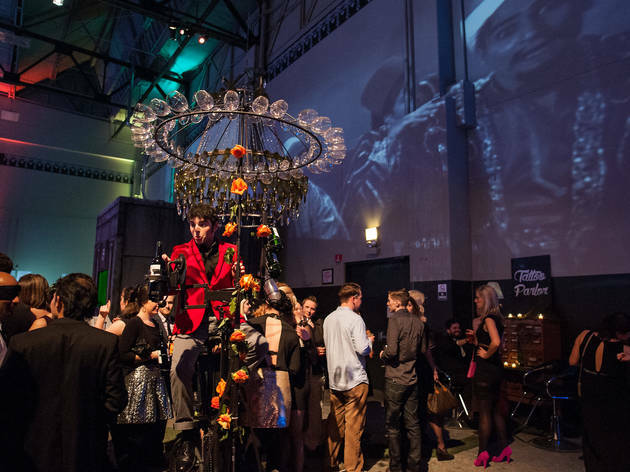 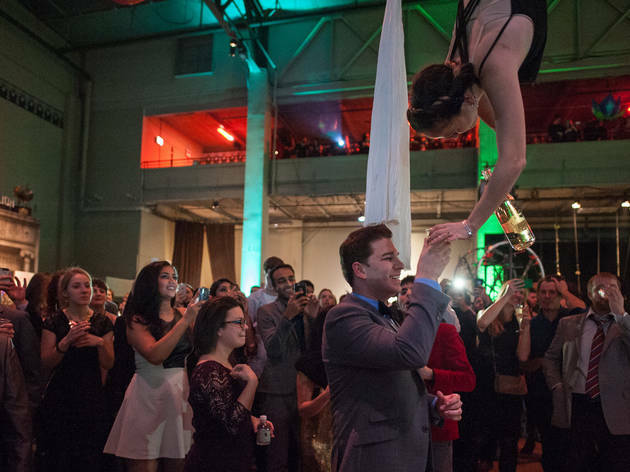 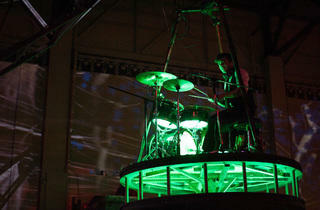 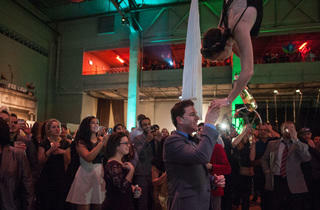 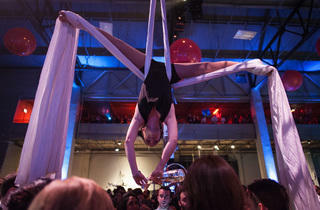 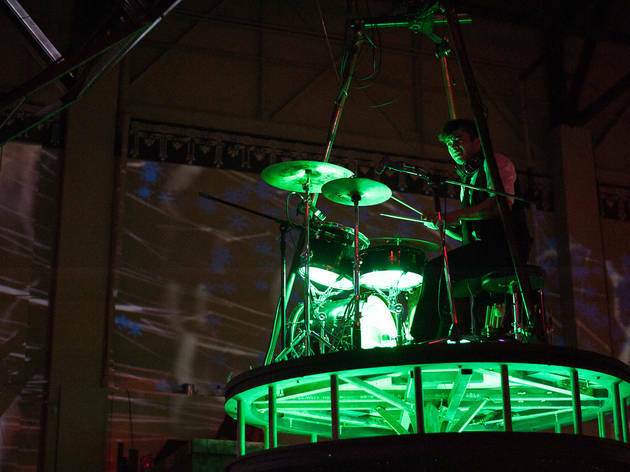 Trapeze artists serving champagne and a drummer swung from the rafters in Pilsen last night at Redmoon's New Year's Eve Revolution, an annual party in the theater company's expansive headquarters. 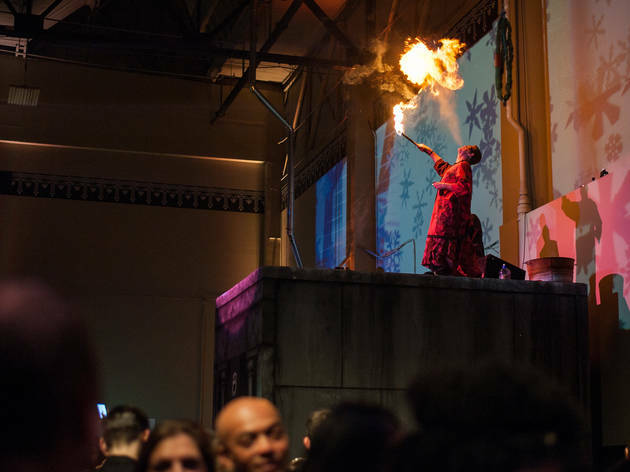 This year, the celebration took on an elemental theme, divided into four sections that drew inspiration from earth, wind, water and fire. 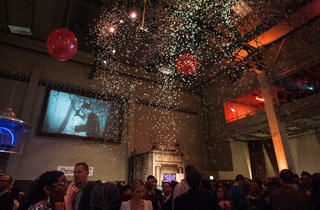 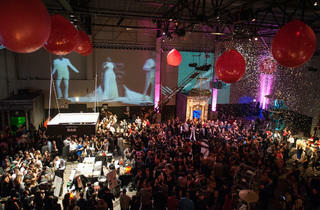 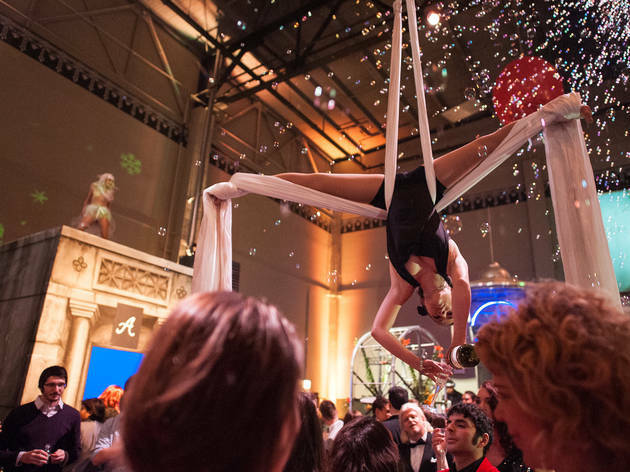 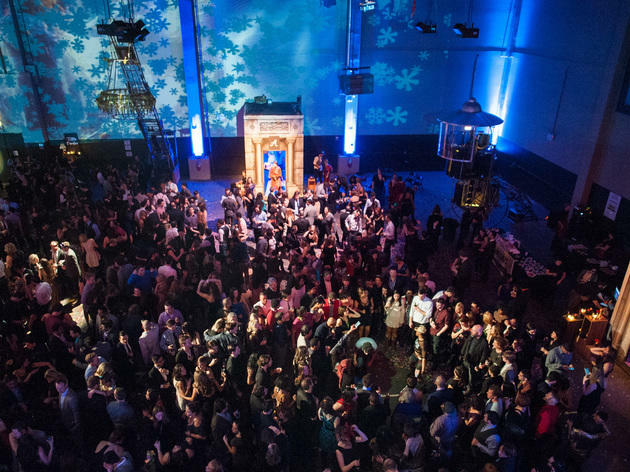 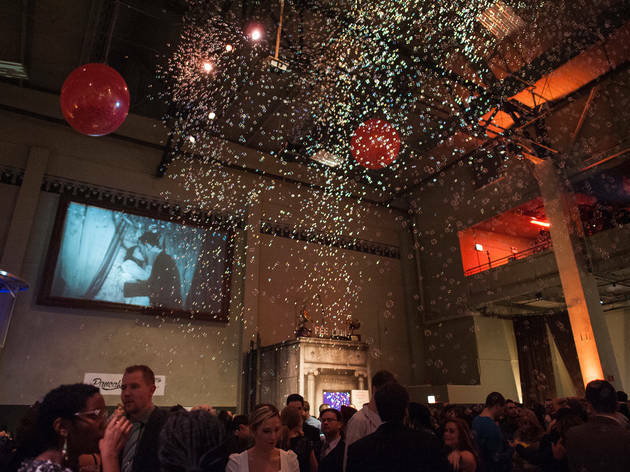 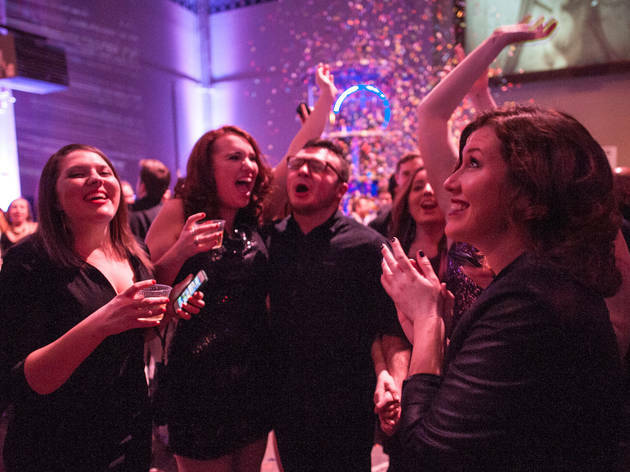 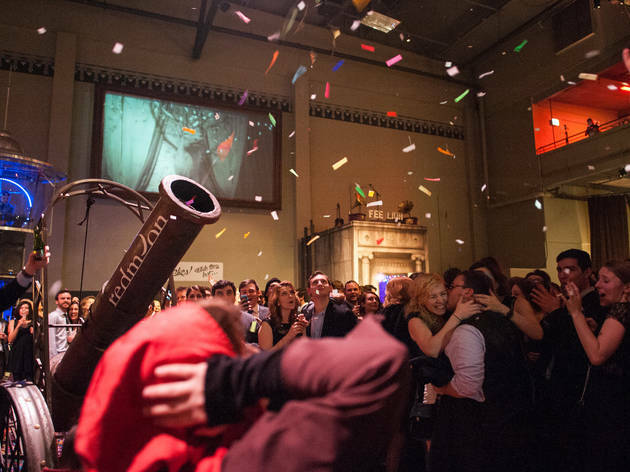 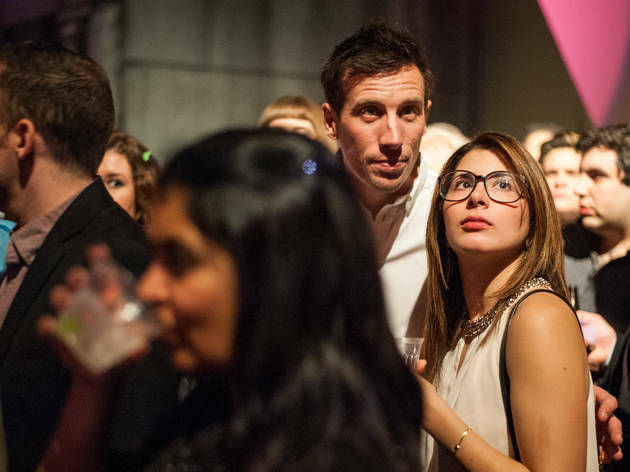 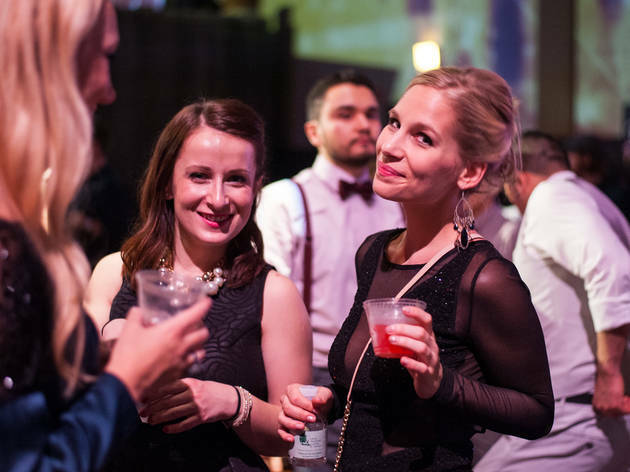 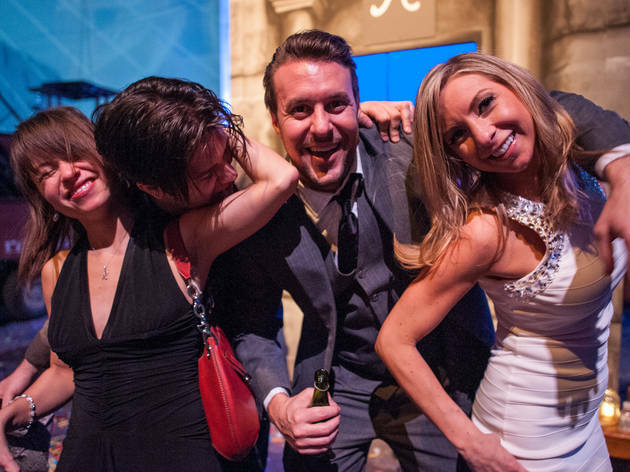 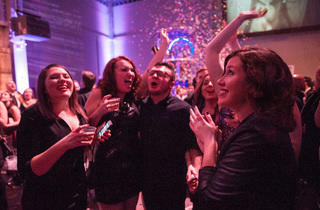 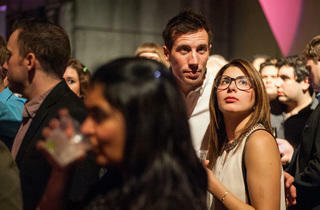 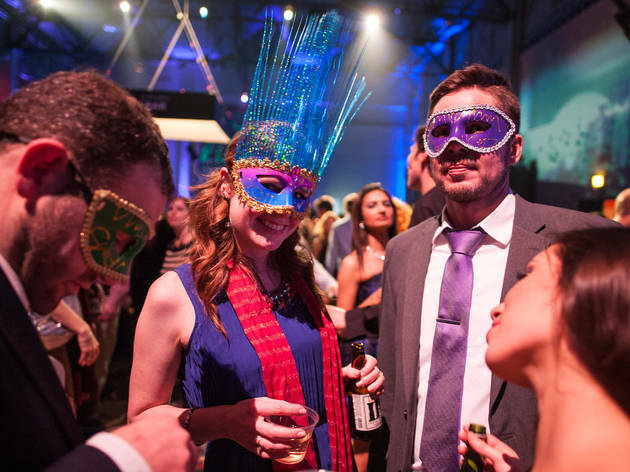 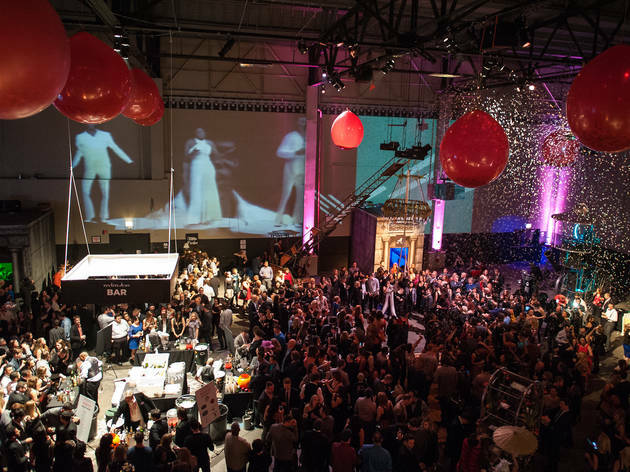 Attendees sipped drinks, ate snacks from a pastry carousel and rang in 2015 in a sea of confetti. 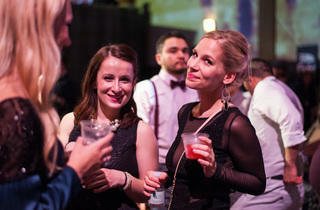 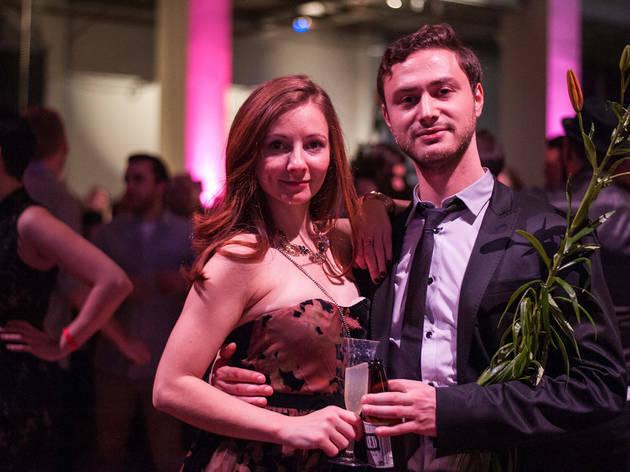 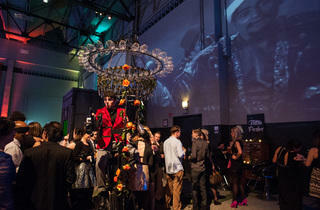 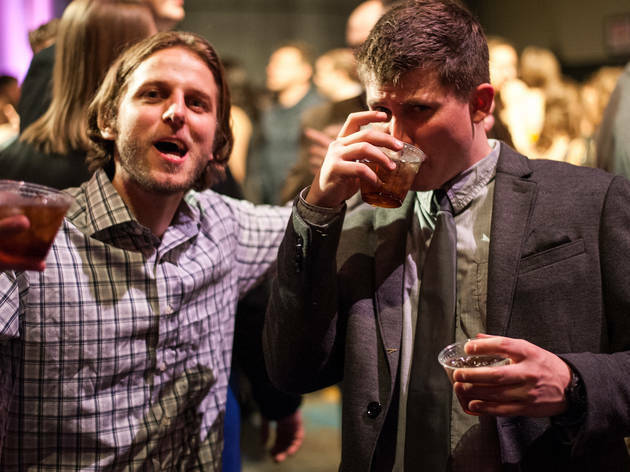 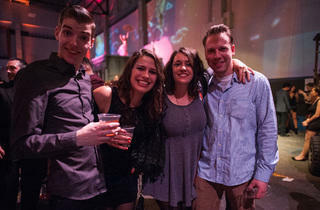 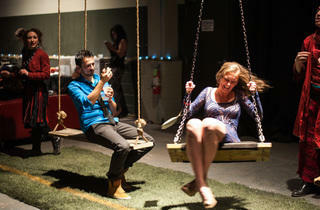 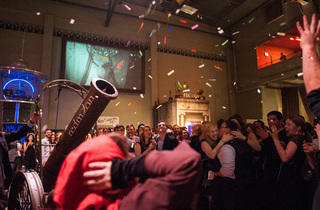 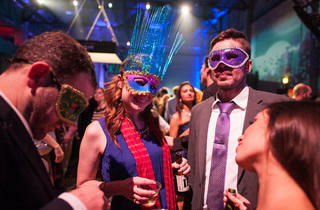 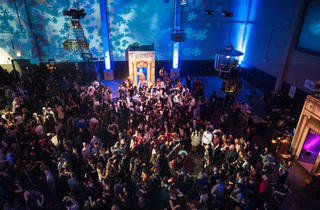 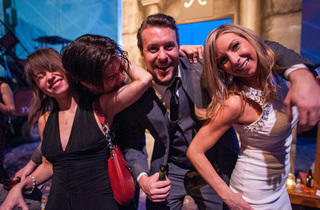 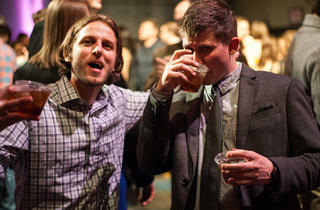 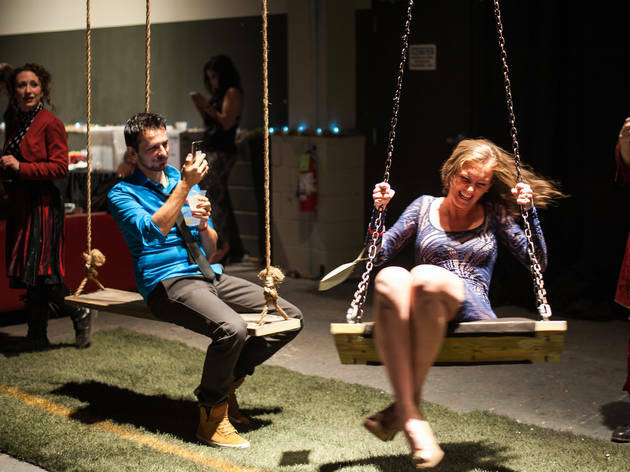 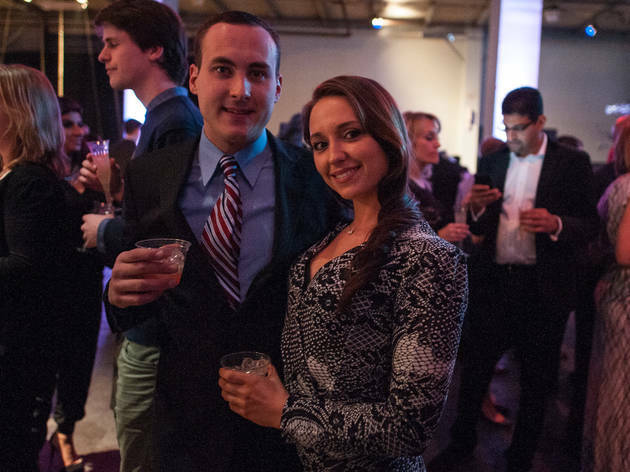 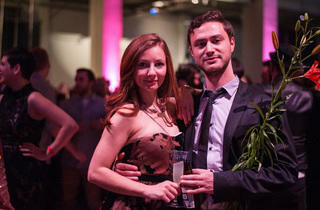 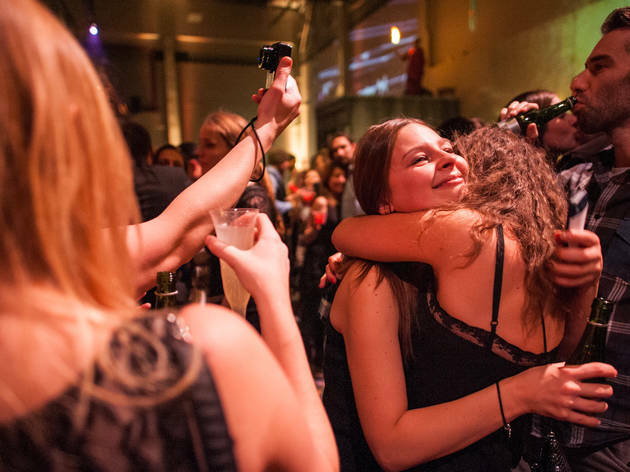 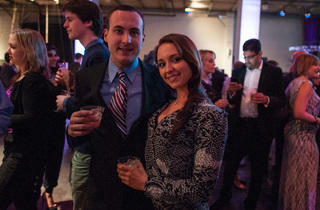 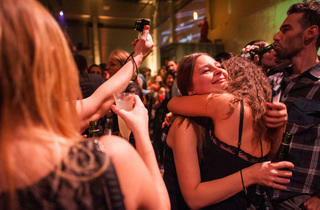 We stopped by to capture the scene at one of the city's most outlandish year-end soirées.